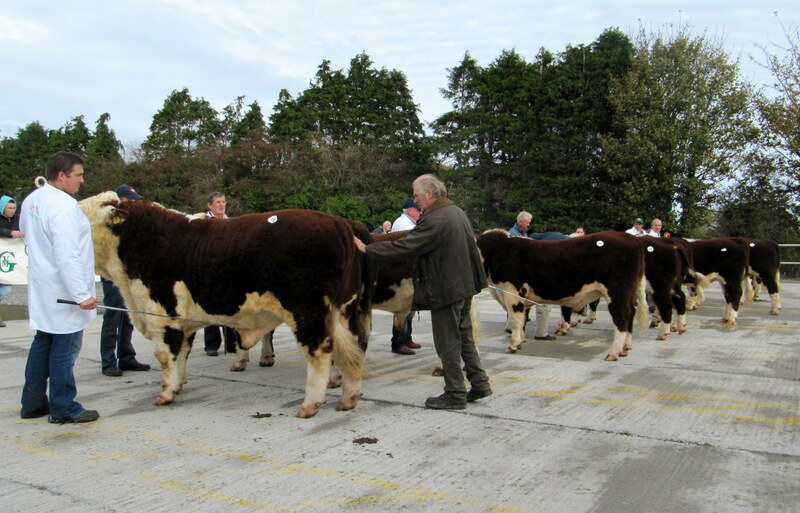 The championship at Kilmallock was awarded to Glaslough Magnum a son of herdsire Rathregan Napoleon out of Glaslough Tara a Cloonbracken Mattie son from the herd of S & N Heatrick, Glaslough, Co Monaghan. 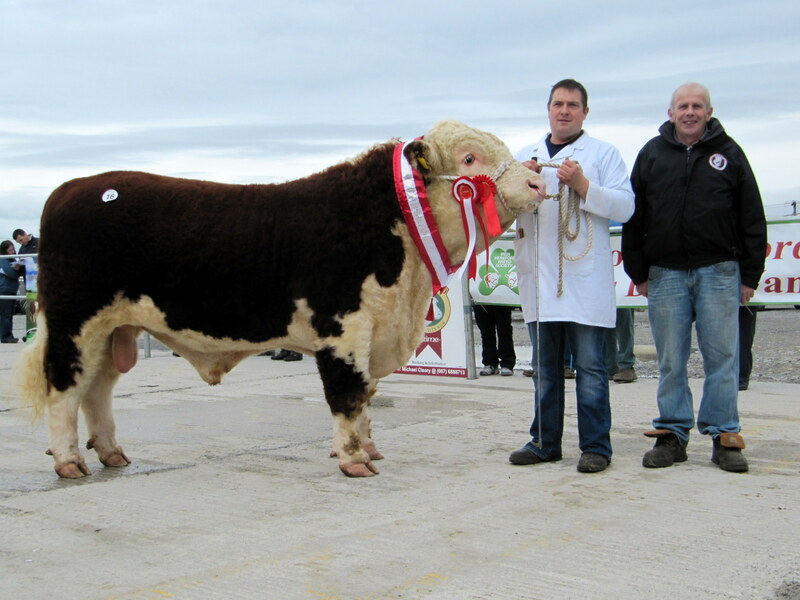 The Champion sold at €3,000 which was €100 up on the price received by the Heatrick duo when winning the championship with a halfbrother Glaslough Lad at the same venue last year.The purchaser was Niall Power, Newcastle, Clonmel. 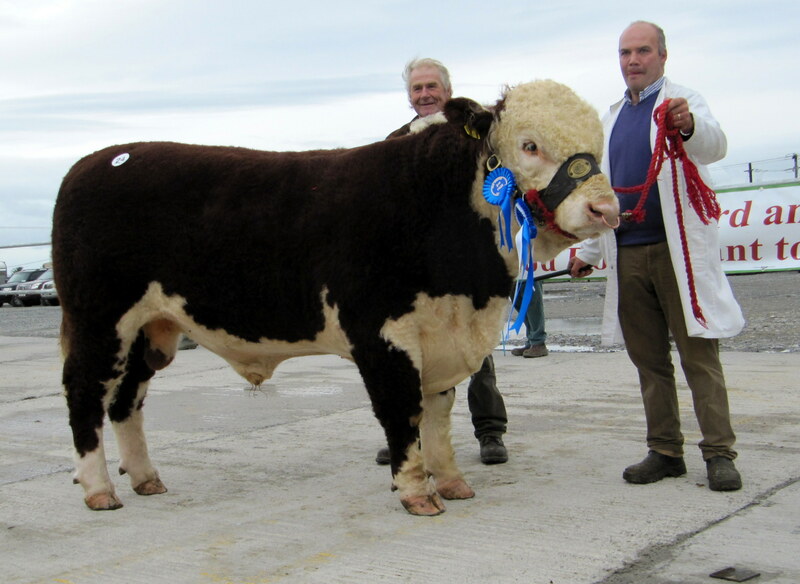 Well known Co Offaly breeder Michael Molloy, Glebe, Belmont, Co Offaly who exhibited Moyclare Laurence sired by his successful herd sire Brocca Saviour a Bowmont Storm A584 parted with him to purchaser Maurice Gilbourne, Kilmeedy, Co Limerick at €2,900. Fortregalpoll 1 Eric exhibited by Gerard & Sheila Lucey,Coachford, Co Cork is a son of Dorepoll 1 93N Transatlantic out of a Yarram Star General daughter Fortregal Nancy 2nd. The purchaser at €2,500 is Pat Kiely, Glanworth, Co Cork. John Collins also paid a similar sum ¨€2,500 for Baytown Frankie an Allowdale Meringo son bred by Tom Barry, Baytown Park, Dunboyne. He was exhibited by Norman Richardson, Co Leitrim. 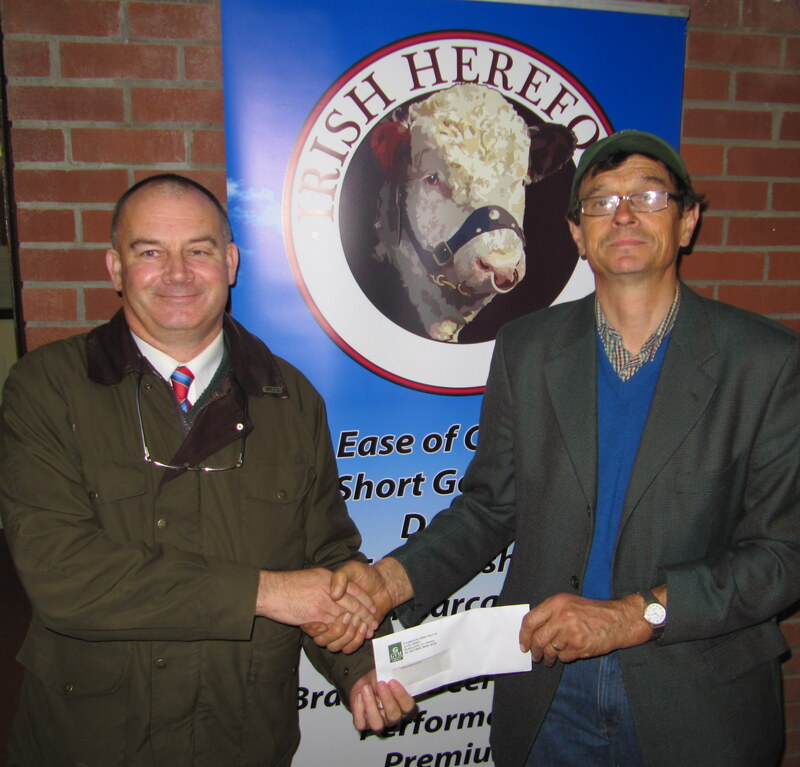 Co Kilkenny breeder Tom Hennessy, Castlecomer reluctantly accepted €2,400 for his Chatsworth Hercules by Allowdale Valour a Bowmont Storm A584 son and out of Chatsworth Mary Lou to local man Thomas Blackbourne, Kilmallock. Prices ranged from €3,000 to €1,900 with an average of €2,260. This was slightly down on last years average. However given that many of the top quality bulls were sold earlier in the year than usual and that few Hereford bulls remain unsold this autumn it is quite a satisfactory result.